Aaudio Imports, a leading supplier of world-class audio products becomes the US importer/distributor for Ikeda Brand Cartridges & Tone-arms. 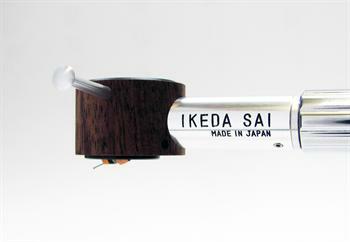 Isamu Ikeda’s passion for the perfect analog sound began in the 1940’s. Mr. Ikeda is known worldwide for his former company Fidelity Research Inc. Their products have been welcomed by audiophiles and music fans the world over, including the Imperial Household Agency and the Imperial Family. In year 2000 he established Ikeda Sound Labs and began producing their finest products to date. This company was a place where he was able to do things that had been impossible under mass production at Fidelity Research, that is, enhancing the precision of manufacturing, pursuing handmade production and experimenting with new ideas freely. Of course, all the products were designed, built and inspected by Isamu Ikeda himself. He also accomplished such feats as realizing air-core structure and developing the world's first MC cartridge without a cantilever, both of which had been his long-sought goals.